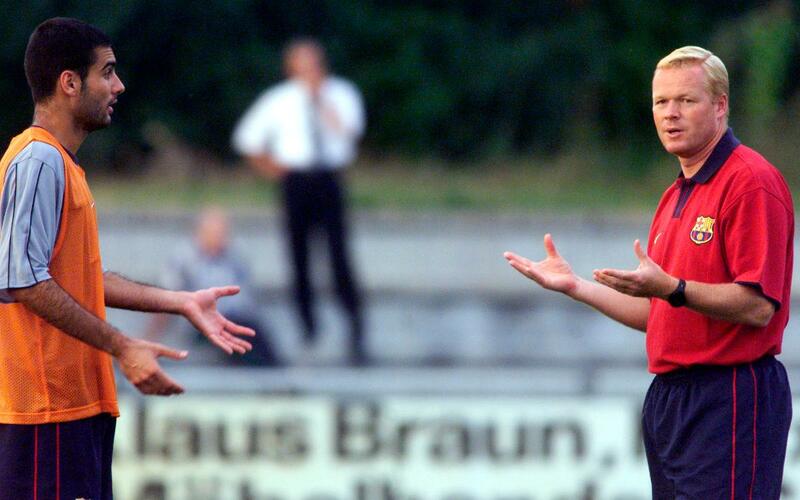 Josep Guardiola and Ronald Koeman, two legends of the ‘Dream Team’, the side that won four consecutive league titles and the Club’s very first European Cup in the early 1990s under coach Johan Cruyff, come face to face again this Saturday in Manchester at 4.00pm CET. The former Barça player and coach is now in charge at Manchester City who face Luis Enrique’s team in the Champions League this Wednesday at Camp Nou. The hero of that first European victory at Wembley in 1992 is now in charge at Everton. Both teams find themselves in the top half of the table in the Premier League ahead of their clash this weekend. Manchester City lead the table with 18 points thanks to six wins and just one defeat in seven matches. Everton are in fifth place on 14 points after four wins from their last five league encounters. It will be a special meeting. Both players were key figures in the Dream Team, one of the most successful periods in the Club’s history.